Sports Rendezvous: Anthony Joshua: Boxer meets Governor Amosun after beating Parker. Anthony Joshua: Boxer meets Governor Amosun after beating Parker. Joshua and Governor Amosun hung out backstage at the Principality Stadium in Cardiff. 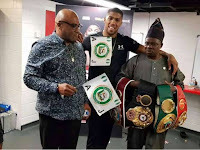 Heavyweight champion Anthony Joshua met with Governor Of Ogun State Ibikunle Amosun after his victory over Joseph Parker on Saturday, March 31. Joshua and Parker went to 12 rounds before the British boxer of Nigerian descent was declared winner via unanimous decision by the three judges. 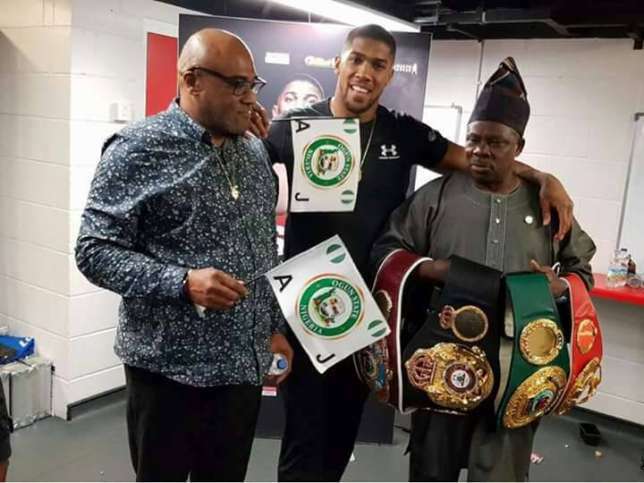 After the victory, he was pictured backstage with Ogun State Governor Amosun who was at the Principality Stadium in Cardiff to watch the fight.